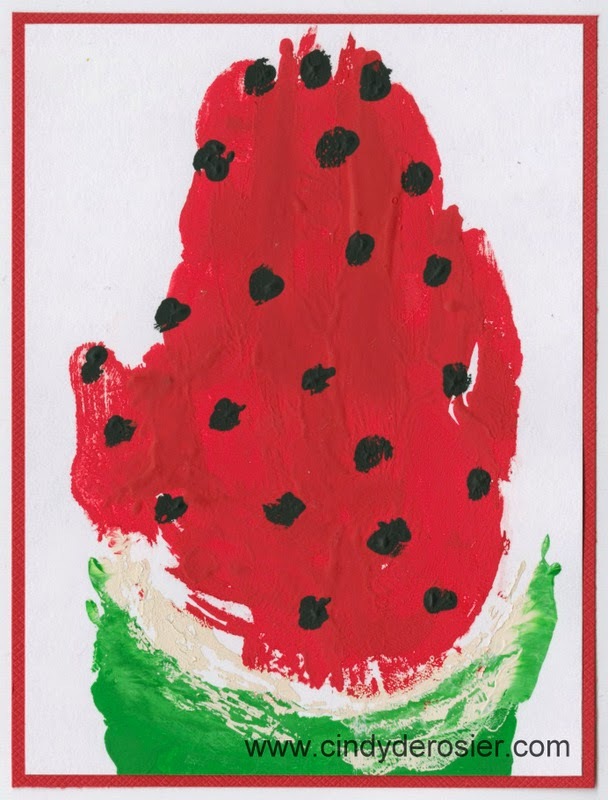 For Letter W of The Cursive Project, Trevor and I made handprint watermelons. 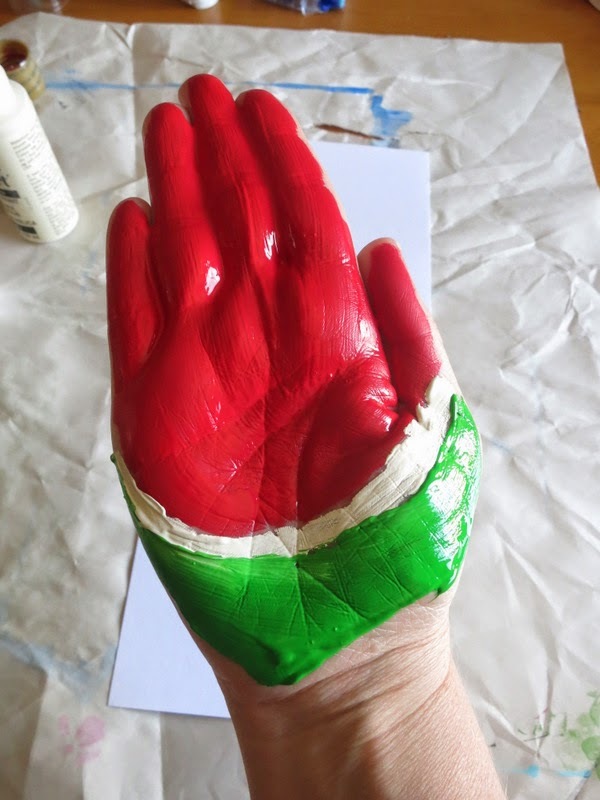 We painted our hands red from fingertips to midway down our palms, added a thin white line, then finished with a band of green. 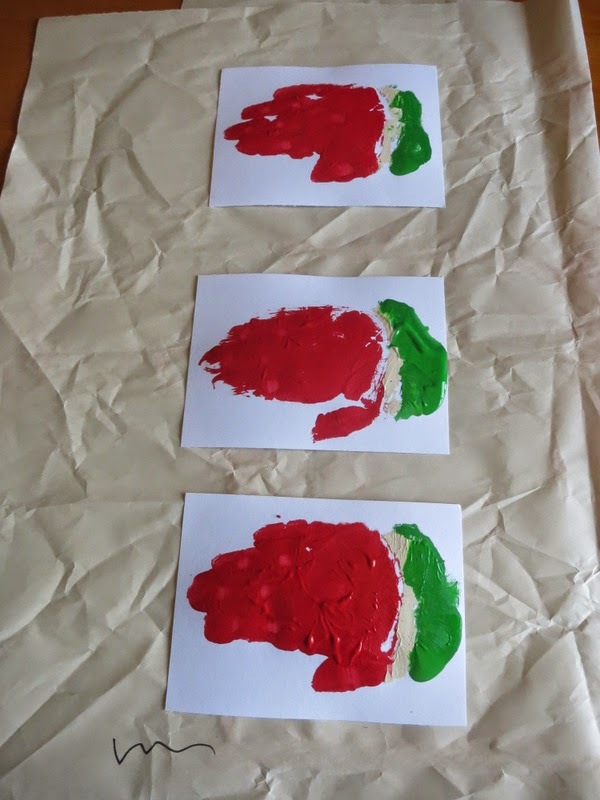 We stamped them onto white cardstock and let them dry. Then we used our pinkies to add black seeds. 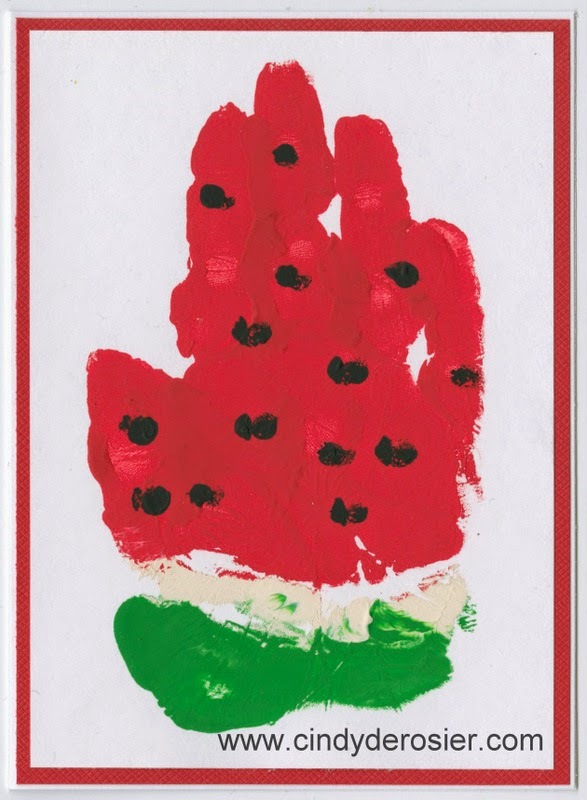 We matted our papers with red, then added them to white card bases. My hand was too big for the cardstock I'd prepared. I should have made a larger card. Oh well. Trevor's cards turned out much cuter. The end is near! On to Letter X! Ohhhhhhhhhh I love love love these!! FABULOUS!!!!! Our Mythbusters Episode is (Finally) Airing!! !